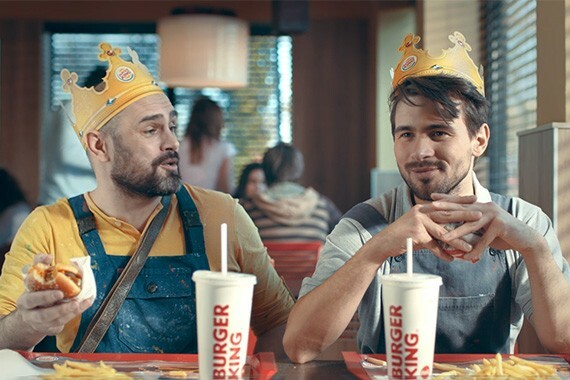 BURGER KING® is introducing King Weeks, a new communication platform to the Hungarian market this year. During the promotion period, certain products will be available at a distinctively discounted price for a limited time. With a focus on brand building, the campaign has the objective to promote the sales of the featured products. Putting the focus on the iconic crown of the brand, we have adapted the global communication framework for the creative concept in Hungary. The short videos give insights into everyday life moments that present realistic and easy-to-recognise characters and situations. For the communication of the featured products in the all-the-year-round campaign, we will use a creative series that comprises TV, outdoor, instore and social media. The TV spot characters will appear in new situations in the social communication as well.